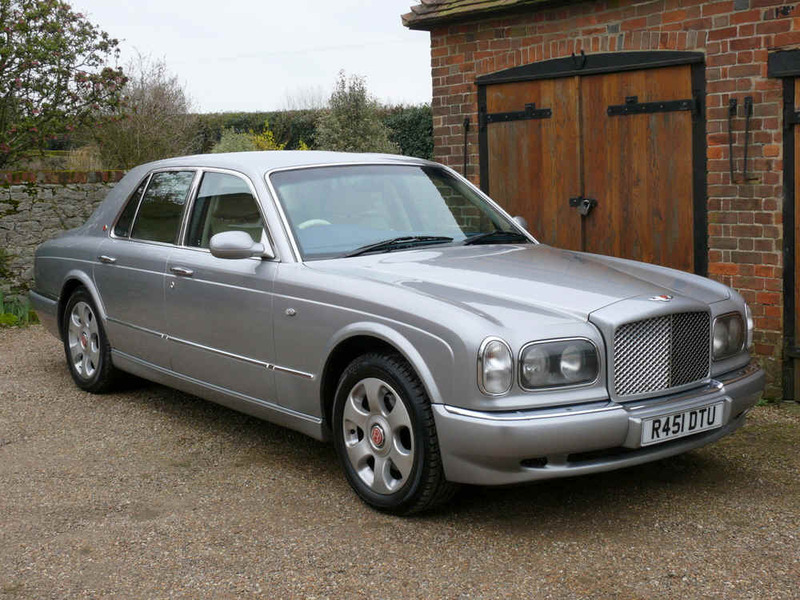 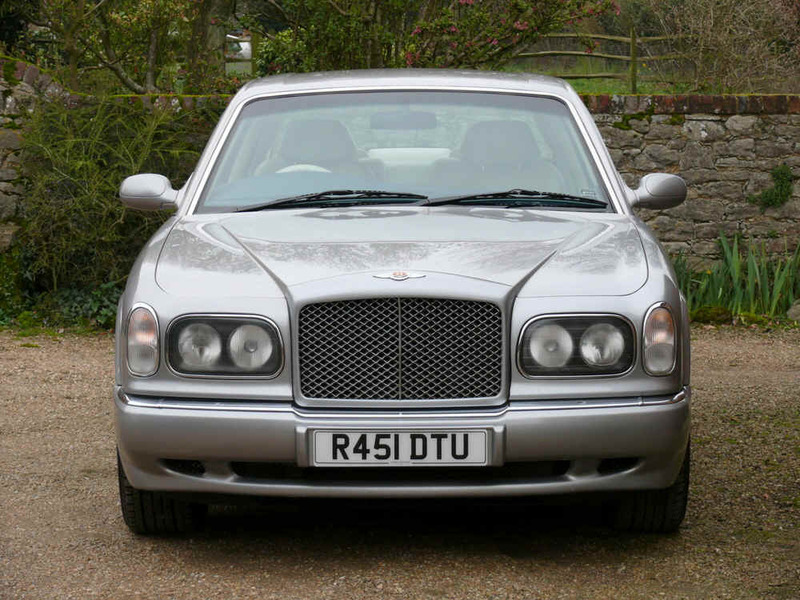 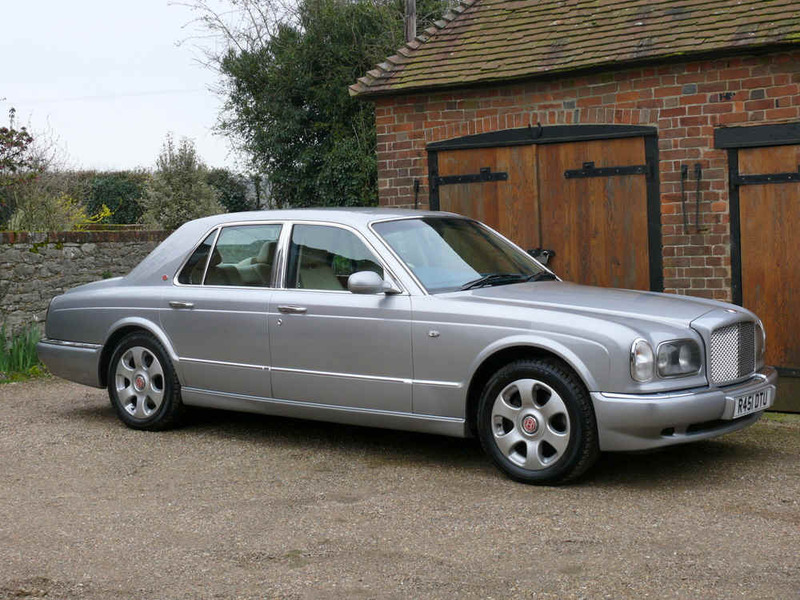 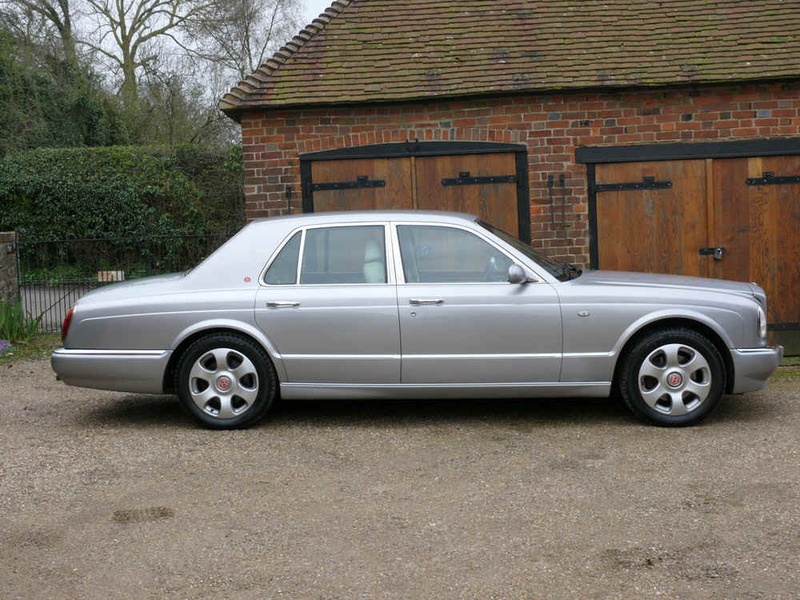 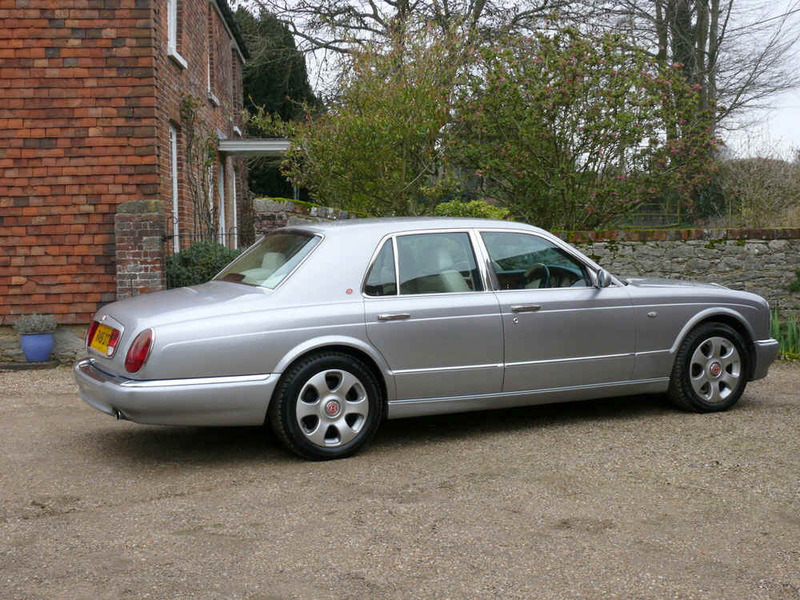 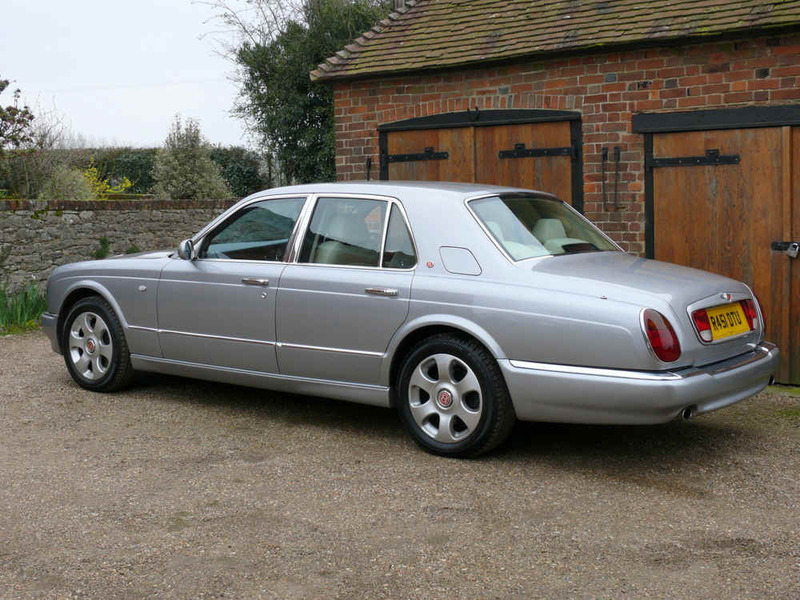 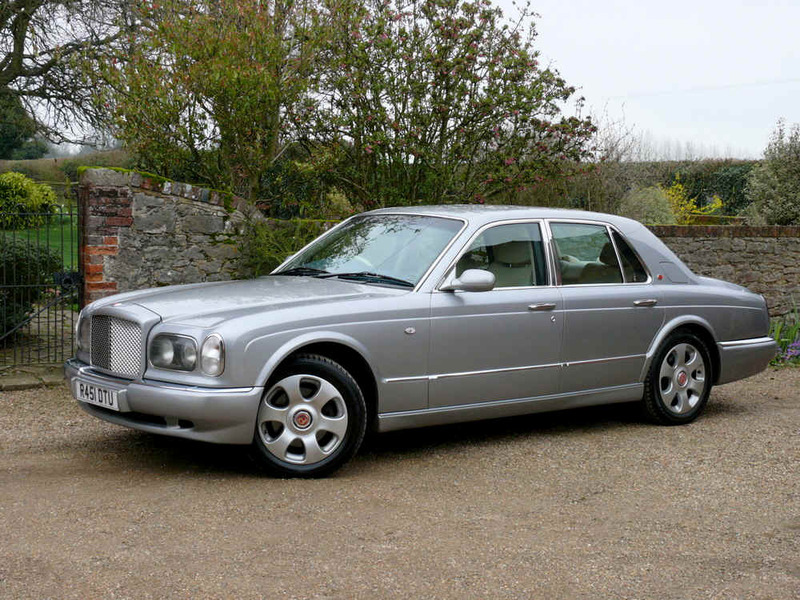 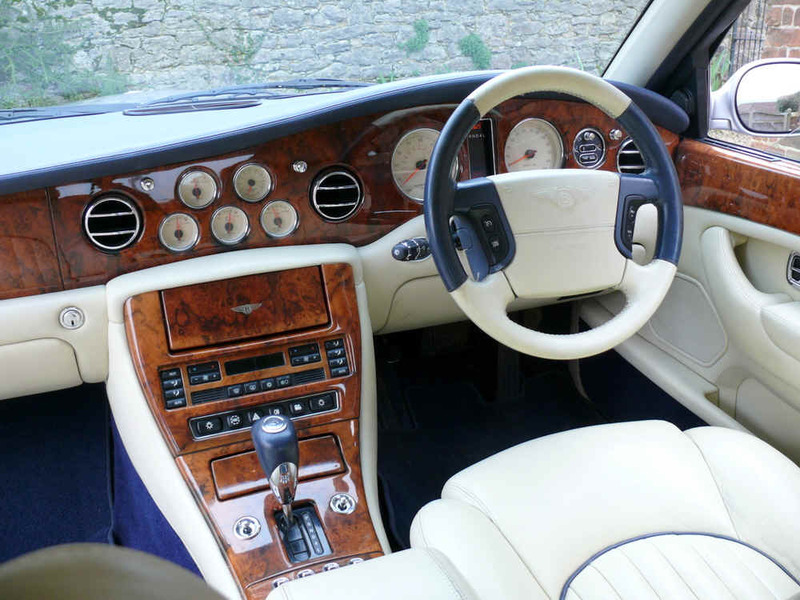 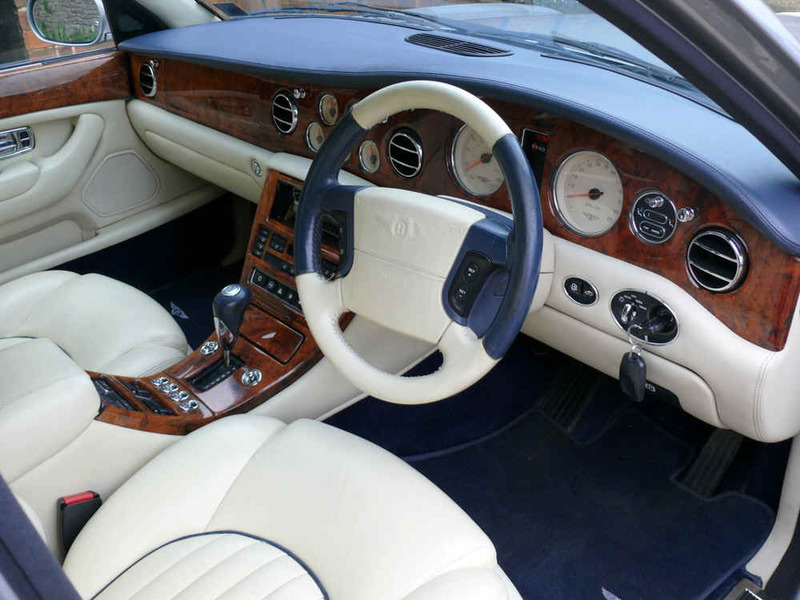 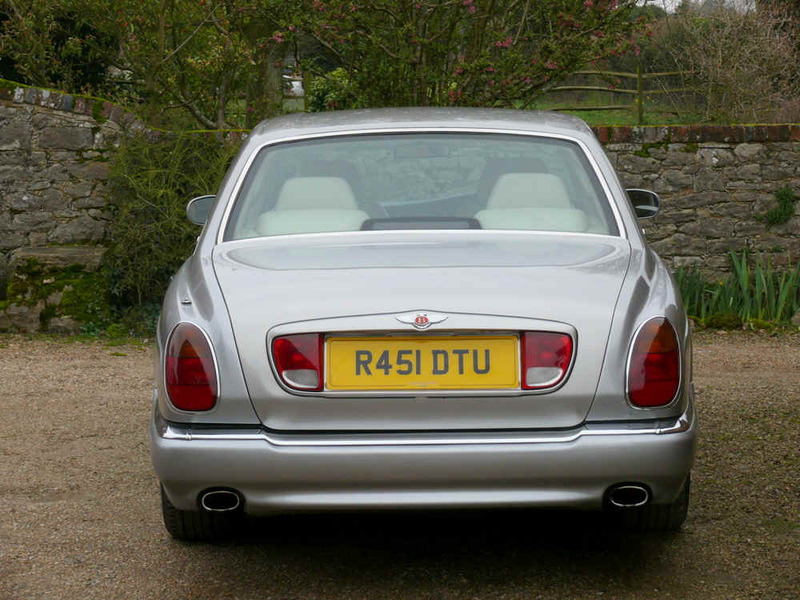 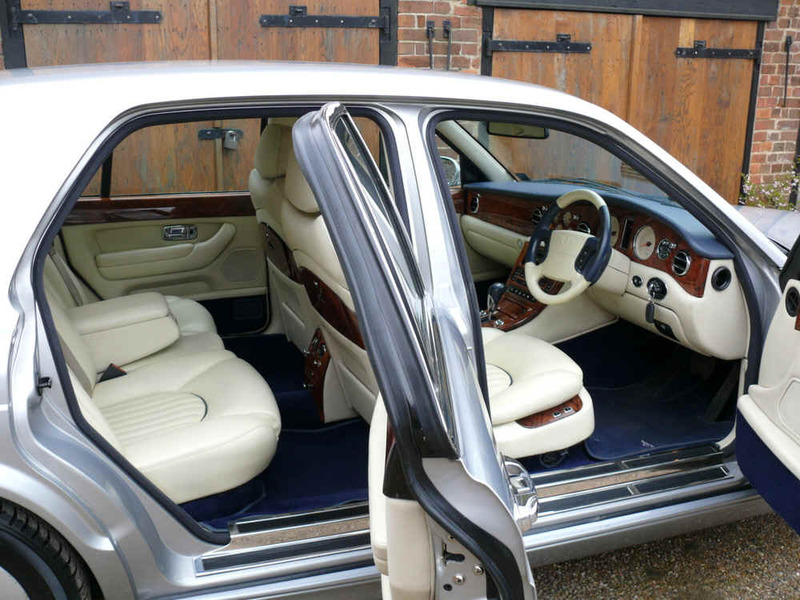 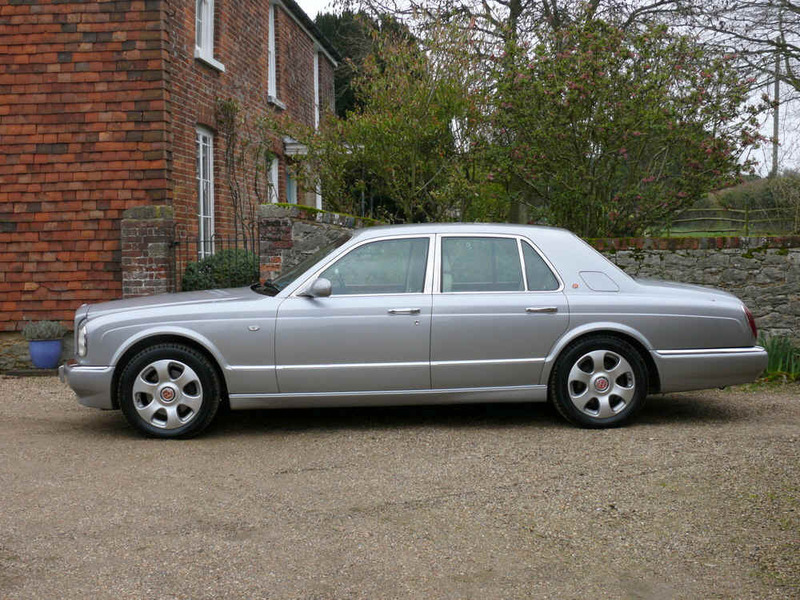 1998 Bentley Arnage Green label with BMW's 4.4 litre Twin Turbo V8. 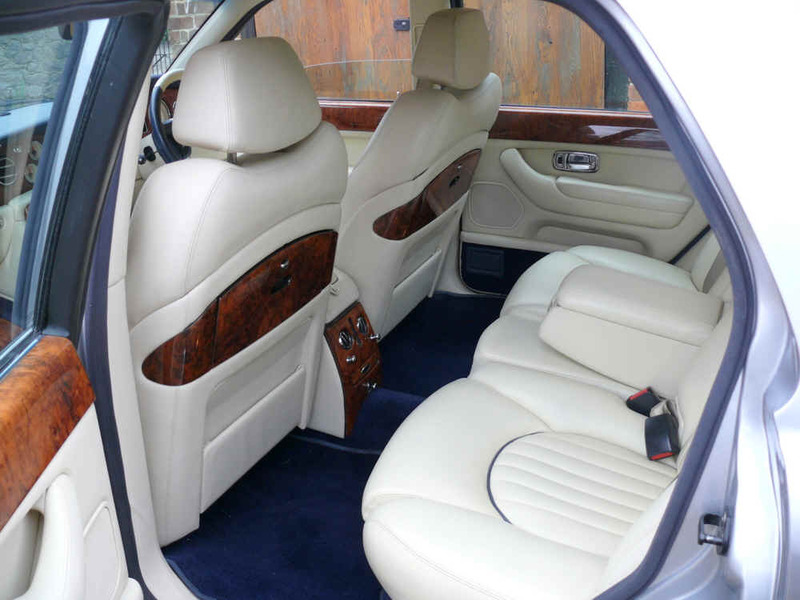 Finished in Silver Pearl with magnolia interior having contrasting Blue piping with Dark Blue Wilton carpets. 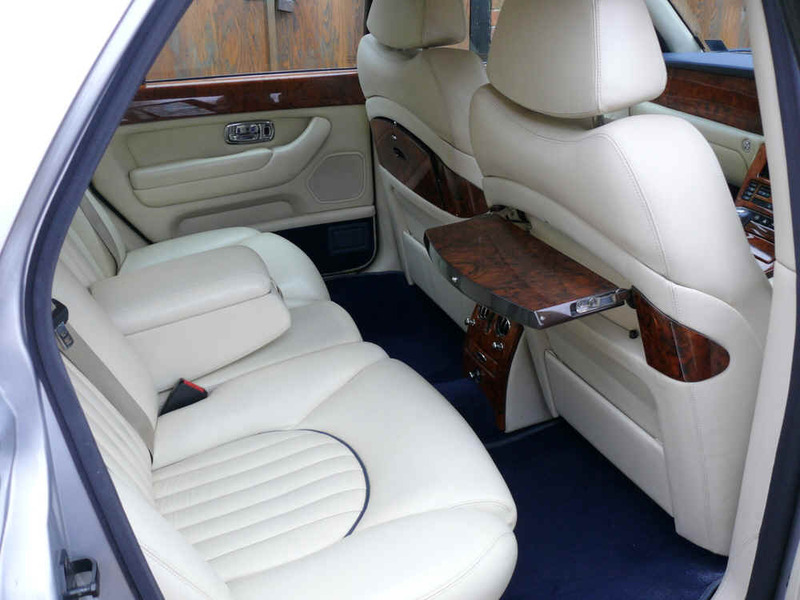 Some additional options include electric rear seats, rear picnic tables and dual tone leather wheel, dashboard and gear selector. 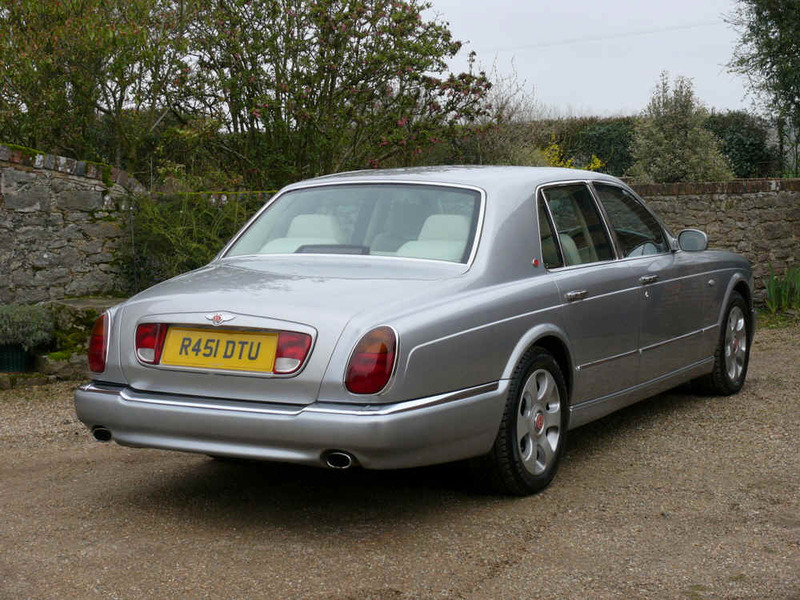 Covered 62,829 miles and presented in excellent condition throughout.